Hubert Culpepper, Boarder, M, Wh, 19, sng, MS/MS/MS, Farmer, Farm. E-mail written 1999 to Lew Griffin from Tamara Culpepper Youngblood, Duncanville, TX. + Virgil B. Culpepper, 27 Feb 1912 - __. Obituary of Scott Irvin Culpepper (#45309), published 4 Jul 2007. Obituary of Gilbert Culpepper (#36894), published 13 Apr 2008. Lulu Culpepper, Dau, F, S, 8, --- , GA/GA/GA. D. E. Culpepper (Miss) and B. M. Harrington on 8 Nov 1882 in Dooly Co., GA.
John E. Culpepper and Lydda Williams on 6 Feb 1888 in Dooly Co., GA.
Administration Letters Book D, page 26. - Susie Culpepper Ray, 1870 - 1948. - Lula Culpepper Raines, May 8, 1872 - January 5, 1958. Lena Culpepper, Dau, W, F, May 1888, 12, sng, AL/GA/GA. James Culpepper married Mary Jane Posey on 22 Mar 1865 in Barbour Co., Alabama. Minnie Marie Culpepper, Addendum to the Life of the Culpepper Family, Cuthbert, GA: Edith C. Prater, 1949. Salie Culpepper, Dau, F, S, W, 9M, AL/GA/GA. William Ellison Culpepper, General Delivery, Montgomery, AL, age 36, born 21 Oct 1881, White, Carpenter for A. Blair at Camp Sheridan, Montgomery, AL; Nearest relative: Mary Jane Culpepper, Clayton, Barbour Co., AL; Tall, slender build, Blue eyes, Brown hair, registered 12 Sep 1918 at City Hall, Montgomery, AL. Ed Culpepper died 2 Dec 1909 in Barbour Co., Alabama. Lena Culpepper, Dau, F, W, 20, sng, AL/GA/GA. MariLee Beatty Hageness, compiler, Alabama Church and Family Cemeteries, Book 2, Anniston, AL: MLH Research, 1997. + Minnie Vaughn Culpepper, 1871 - 1912. Mrs. (sic) J. M. Culpepper died 25 Nov 1912 in Barbour Co., Alabama. Ernest Culpepper died 25 Dec 1912 in Barbour Co., Alabama. Ruby Culpepper, Lodger, F, Wh, 30, sng, AL/AL/AL, Seamstress/Overall factory. Mary J. Culpepper died Mar 1925 in Montgomery Co., Alabama. Ernest Culpepper married Minnie Hulen on 29 Jan 1902 in Barbour Co., Alabama. Foy Culpepper, Son, M, W, 3, sng, AL/AL/AL. p 21, has 5 Dec 1901. Monie Culpepper married H. T. Hulin on 15 Dec 1901 in Barbour Co., Alabama. Saidy Culpepper married James Henderson on 24 Apr 1898 in Barbour Co., Alabama. William Culpepper, Roomer, M, Wh, 38, sng, AL/UN/UN, Agent/Insurance. William E. Culpepper, Boarder, M, Wh, 46, sng, AL/GA/AL, Salesman/Insurance. William E. Culpepper died 26 Jan 1940 in Montgomery Co., Alabama. 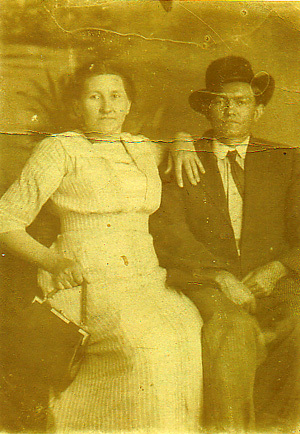 Lena Culpepper married W. A. Johnson on 17 Jul 1913 in Barbour Co., Alabama. W. A. Culpepper married Minnie Vaughn on 6 May 1891 in Barbour Co., Alabama. Glen Comer Culpepper, 4500 7th Avenue, Wylam, Jefferson Co., Alabama, age 25, born 22 Apr 1892 in Midway, Bullock Co., Alabama, Employed as a Timekeeper at the By-Product Coke Plant of the Tennessee Coal, Iron and Railroad Company, Fairfield, Jefferson Co., Alabama; Single; Caucasian; No prior military service; Claims exemption from service due to a rupture; Tall height, Slender build, Blue eyes, Light hair, Not bald, No disabilities. Registered 5 Jun 1917 at Wylam, Jefferson Co., Alabama. + L. Roy Culpepper, 7 May 1894 – 25 Aug 1979. William Augustus Culpepper, 1941 Simerson?, Denver, Denver Co., CO, age 20, born 10 Jul 1898, White, Bookkeeper at Denver East Electric Light Co., Nearest relative: Elmore "C" Culpepper (Brother) at ___, Alabama, Height 6'3", slender build, gray eyes, light brown hair, no disabilities. Registered 12 Sep 1918 at Denver, CO.
William A. Culpepper Jr., Son, W, M, Jul 1899, 1, Sng, AL/AL/AL. Willie G. Culpepper, Son, M, W, 11, sng, AL/AL/AL. W. A. Culpepper died 14 Jul 1910 in Barbour Co., Alabama. Verrsie Culpepper married B. C. Cox on 17 Nov 1895 in Barbour Co., Alabama. John Culpepper, Head, W, M Dec 1870, 29, sng, AL/AL/AL, Farmer. John C. Culpepper married Katherine Jefferson Stokes on 25 Feb 1906 in Barbour Co., Alabama. Katherine Culpepper, Dau, F, W, 1, sng, AL/AL/AL. The Baptist Cemetery, Buena Vista, Marion Co., GA. Original survey published by Jeanne Wells Jernigan in 1980 and file contributed for use in USGenWeb Archives by Mary Phillips. + Katie Jefferson Stokes Culpepper, 22 Dec 1886 - 25 May 1915. John C. Culpepper and Annie Shearer, 31 Oct 1915, Randolph Co., GA, Book 9W, p. 440.
p 25 'lived for 18 months' Pachitla not on current map. James M. Culpepper, Son, M, 1 11/12, S, GA/AL/GA. + Lewis Culpepper, 1 Jan 1926 – 2 Jan 1929. Jake Culpepper, Son, M, 8, S, GA/AL/GA. J. C. Culpepper, d. 22 Oct 1931 in Randolph Co., GA, 26206. Mary Prince Culpepper, April 17, 1856 - Aug. 12, 1934. Elijah C. Culpepper married Mary P. Richardson on 26 May 1872 in Pike Co., AL. Lessie D. Culpepper, Dau, F, sng, Wh, 2/12 (Apr 1880), AL/GA/AL. Cora M. Culpepper, Dau, Wh, F, May 1898, 2, sng, AL/GA/AL. Maybelle Culpepper, GrandDau, F, Wh, 5, sng, AL/AL/AL (d/o Charles). Carla May Culpepper, Dau, F, Wh, 18, sng, AL/GA/AL, Farm Laborer. Elijah C. Culpepper, March 6, 1846 - Sept. 28, 1925. Mary Prince Culpepper died 1 Aug 1934 in Pike Co., Alabama. Ida Culpepper married Enos S. Lunsford on 26 Dec 1888 in Pike Co., AL. E-mail written 2003 to Lew Griffin from Elizabeth Evans (Mrs. Robert Lewis Evans), Poulsbo, Washington, e-mail address. ED 33, Sheet 15A, Pct. 6, Perote. Obituary for Ora Ingram, published 21 Oct 1957. Mat Jones, Servant, Black, M, Nov 1874, 25, Wid, AL/AL/AL, Farm Laborer.